Delegates will move from table to table to discuss in detail five Collaborative Law cornerstones of ‘Believe’, ‘Be Brave’, ‘Be Curious’, ‘Enjoy the Silence’ and ‘the Great Unknown’. We will develop our collaborative practices whilst learning from each other. The workshop will present a ‘live’ unprepared unscripted session of family law supervision. Using advanced listening skills, empathy and the intuitive agency co-created by the supervisor-supervisee relationship. The session will aim to demonstrate how themes are developed, problems explored and new possibilities arrived at without the need for any external knowledge base. As well as providing a radical model for how legal work with traumatised clients might be improved, the session will aim to illustrate why this kind of support is proving invaluable to the growing number of family law professionals who are receiving it. There will be plenty of time for questions, observations and feedback. You’ll leave the workshop having considered the complex range of emotions and behaviours of separating couples and the associated effects. You’ll have thought about the differing approaches of clients, their emotional layers and the impact this has on the collaborative process. You’ll also be able to recognise the impact of client emotions on yourself and the way you handle them. This is a great opportunity to fine tune your empathy, understanding and reconsider what personal support you might need in your work with what are essentially grieving couples with a multitude of emotions. This session will examine the characteristics of clients, good bad and indifferent and seek to change the way clients are viewed when they first come through your door. The discussions are designed to be thought provoking and will question many widely held beliefs. A real life case study, showing how a Barrister can be introduced into the Collaborative meetings in order to overcome an impasse. This workshop will examine the impasse itself, the thoughts of feelings of both clients, the collaborative practitioners and the collaborative counsel. It will also cover the practicalities of introducing a third party into a problematic 4 way. This workshop will focus on the importance of hearing children and young people involved in separation. 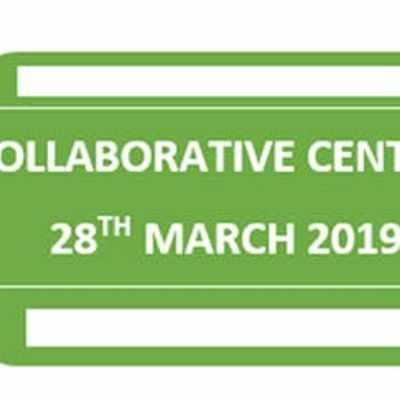 Using case studies and working examples, including Child Inclusive Mediation, delegates will be invited to reflect and explore how they can ensure the voice of the child is heard within the Collaborative process and the benefits this can in turn bring. We are all unique and yet can also be so different! This workshop will look at a quick and easy-to-use means of identifying 4 main types of people who use similar methods of communication particularly when under stress, and how that information may be applied in your DR practice. It is based on ‘iMA’, which stands for ‘inform/identify, manage and adapt’ and has been used to good effect in various settings across the world, and why not in dispute resolution also where effective communication is so key? Nicholas Allen QC is ideally placed to provide assistance with Collaborative matters that have hit a road-block. Nicholas is collaboratively trained, a Barrister, Arbitrator and Recorder, thus is able to provide support in a number of ways. This session will allow plenty of opportunity for questions to be asked of Nicholas and other members of the panel. A round up of the day and summary of the discussions that opened the day.